There’s no doubting the ability of females in the building trade. Statistics show that a good percentage of UK customers prefer to use female tradespeople. Rightly so – they have the same access to high quality tools and materials that men do, but when it comes to workwear that’s comfortable, durable and professional it becomes a minefield that many manufacturers find hard to navigate. Snickers have spent years looking and listening to what Female builders want and not quite getting it 100% right when all the time the replies were always the same. Exactly the same features the Men’s range has but with a cut for the female shape…. Not rocket science is it!! Ladies let us introduce you to a range of garments that have all the features Snickers are reknown for in the latest cofortable fabrics and in a cut that works with you. Trousers with a slimmer fit and a stretch fabric to allow for movement without excess rolls of fabric. Jackets in the latest 37.5 fabrics to help keep your body at the optimum temperature. Contemporary soft shell jacket that combines excellent fit with hardwearing comfort and advanced functionality. Windproof and water-repellent, this versatile jacket is a great choice for everyday work all year round. Strategic seam placement for optimal profiling possibilities. With a fresh look, optimal female fit, this T-shirt is easy to enjoy and ideal for company profiling. Attractive, robust Polo Shirt with female fit. Ideal for company profiling. Waterproof 2 layer shell jacket with taped seams designed for every day work in wet and windy conditions. Great fit, built in functionality and durable fabrics ensure optimal comfort and freedom of movement. Conforms to EN 343. Plenty of space for profiling. Hard wearing and water repellent padded jacket designed to keep you warm and elevate your work performance. An instant favourite when the temperature goes south. Offers lots of profiling possibilities. High visibility, waterproof 2-layer shell jacket with contemporary design, great fit and spaces for profiling. Featuring built in functionality and hardwearing comfort, this jacket is a great choice for every day work in wet and windy conditions. Conforms to EN 343 and EN 20471. Windproof and water repellent soft shell jacket that offers great fit and high visibility when working in dim light conditions. 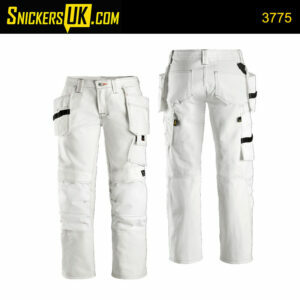 In addition, hardwearing comfort and advanced functionality makes it a great choice for every day work all year round. EN 20471. 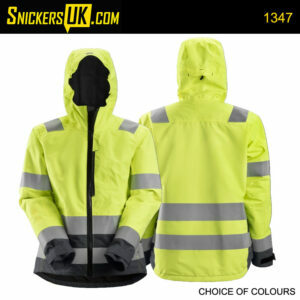 Hardwearing jacket designed to keep you warm and highly visible in cold and low-light conditions. Clever details and great fit ensure a smooth and efficient work day. Certified according to EN20471.